Telmund is a prince who loves fables. But when a hasty witch mistakes him for bully in need of paranormal punishment, he's cursed to transform into a new animal every time he falls asleep. With his shape constantly changing, Telmund discovers that actually living in a fairy tale has its drawbacks. 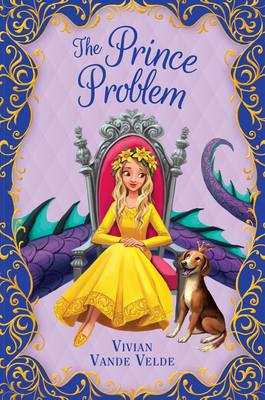 Amelia is a practical princess with a wide range of skills, none of which are helpful for escaping the ball her parents have thrown to select her future husband. But then the unthinkable happens: Amelia is kidnapped by the dangerous Prince Sheridan, setting off a plot that will throw the realm into chaos. As their stories become intertwined, the dreamer prince and no-nonsense princess must work together to rescue each other. Otherwise there will be no happy endings for either of their kingdoms. From Vivian Vande Velde--master of the magical romp--comes an enchanted tale of princes, fairies, and the transformative power of stories. Vivian Vande Velde is the Edgar Award-winning author of Never Trust a Dead Man, Heir Apparent, Dragon's Bait, and dozens of other fantasy and mystery novels for young readers. She lives in Rochester, New York.